There is something special about a luxurious and bold piece of furniture. A sole emerald couch, or an elegant jade chair could be the premier item in your home. If you are happy with the furniture you have, consider adding a couple green accent pillows. Shades of green also pair well with gold or rusty orange shades. Combine these colors, or look for patterns to balance the fresh green accents on your furniture. The brightness of green with natural wood fashions a stunning and earthy combination. Look for wood elements in your home that can be spruced up with a pop of pine color. 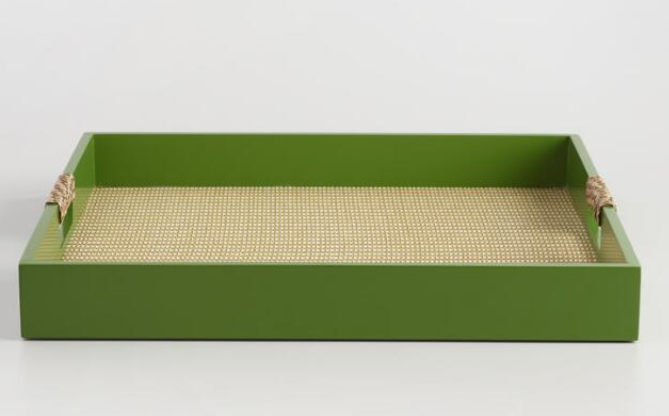 Use one of our Country Chic Paints to brighten up an old wooden picture frame or serving tray like the one below. Seasons change, but wreaths are a timeless natural décor item. Most currently wreaths have found their way indoors above mantels or used as wall décor. When using a wreath in your home, make sure it is simple and contemporary. Many of us have a wreath that is several years old, and desperately outdated. 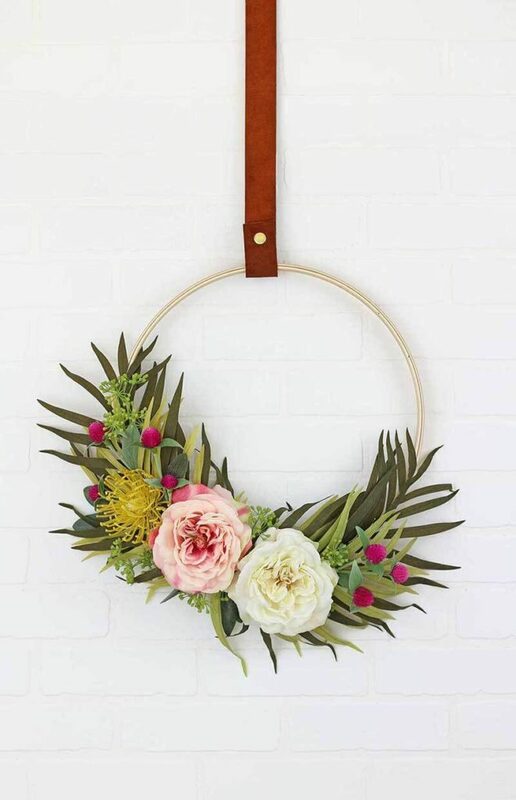 Update an old wreath by hot gluing on large artificial leaves or make a completely new and elegant wreath like the one below. Nothing says garden-fresh quite as well as seeing green at the dinner table. Your meals will leave your guests even more reinvigorated when the plates are set with accents of emerald shades. Use a green placemat to make your courses stand out. 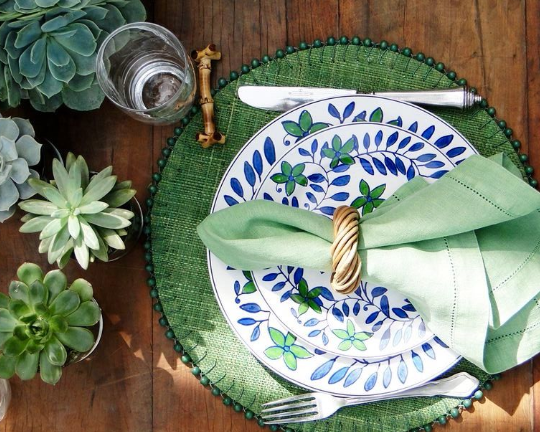 Combine the setting with a green napkin or center piece and you have yourself an inspiring dinner table. Green textiles are a welcoming element to your home. They provide a fresh and cozy feeling. 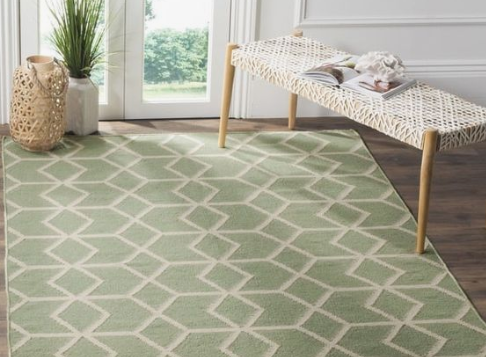 Add a green runner to your hallway, or a green throw on the couch. Both will draw your guests to those areas and brighten their path on the way. 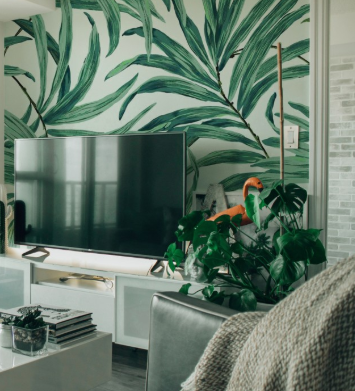 Whether you feel committed to a green wall pattern, accent wall, or large painting, the emerald color has a way of making a room feel bigger. In addition, green wall décor items become a wonderful conversation starter in your home and a hit among your guests. 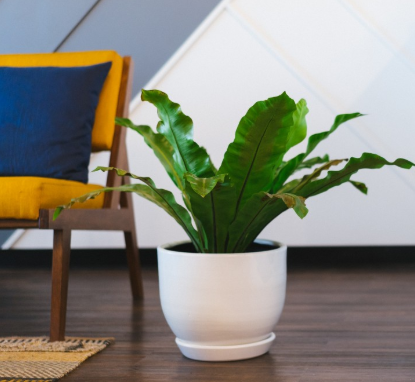 Plants not only add a vibrant color, they also bring many benefits to your home. Indoor plants purify the air and enhance the space with an ambiance of freshness. The best part of choosing to decorate with plants is the vast number of options one must choose from. From succulents to ivy, and even trees, one can find a plant for any space and color palate. To complete the look, reuse an old flower pot and paint it with Country Chic Paint to perfectly fit your home. 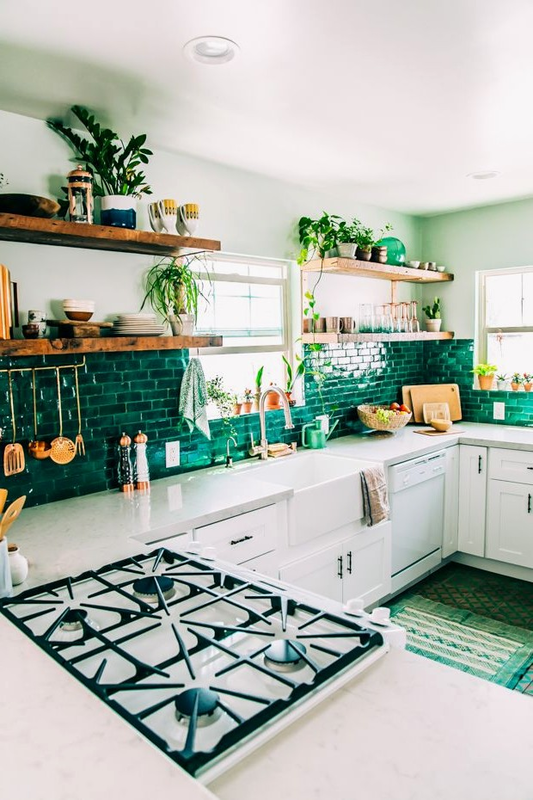 Green tiles are a striking addition to a kitchen or bathroom. If adding a bright backsplash, or tiled bathroom wall seems like too much of a commitment, use tiles to create a small hot pad which can be a fantastic statement on your countertop. 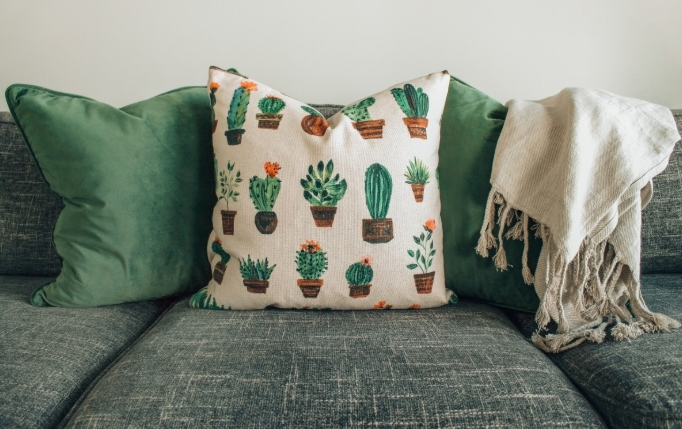 While it may not be easy being green, it is easy to revamp your home and invite nature indoors with these simple yet transformative decorations and additions.